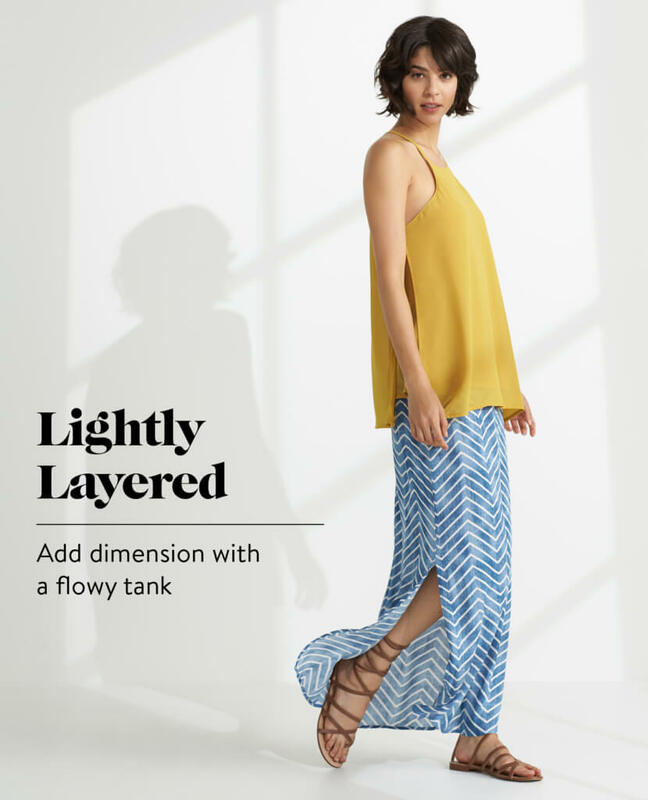 There’s a reason the maxi is our favorite summer staple—they’re universally flattering, cool (in more ways than one!) and ridiculously comfortable. We’d say that’s winning in the most fashionable sense. Reimagine this summer staple with four new ways to style the summer maxi. Fake the look of layers with separates of different proportions. Wear a jersey maxi skirt with a free-flowing, chiffon top. For a less-stuffy look, reach for a sleeveless blouse that shows a little skin. For extra style points, pair the look with gladiator sandals that peek out under the skirt as you walk. Stylist Tip: Choose contrasting colors to make each piece pop—think blue and yellow, olive and blush or coral and cobalt. Go from the beach to boardwalk in your favorite woven maxi. The difference between woven and a jersey or knit? It’s all how the fabric is structured! The basket-like weave of a woven fabric will allow for more breathability for the warmer months. Ditch the difficult-to-buckle sandals for flip-flops so you can easily take them off once you hit the sand. Stylist Tip: Straw hats are durable and practical—throw one in your tote for on-the-go shade. And, no worries if they get a little wet, they’ll dry in a jiffy. Head to a haute date night by throwing something unexpected (hey there, leather bomber!) over your shoulders. Play with adding in a more casual piece, like a jersey maxi for a look that seamlessly mixes urban edge with effortless ease. 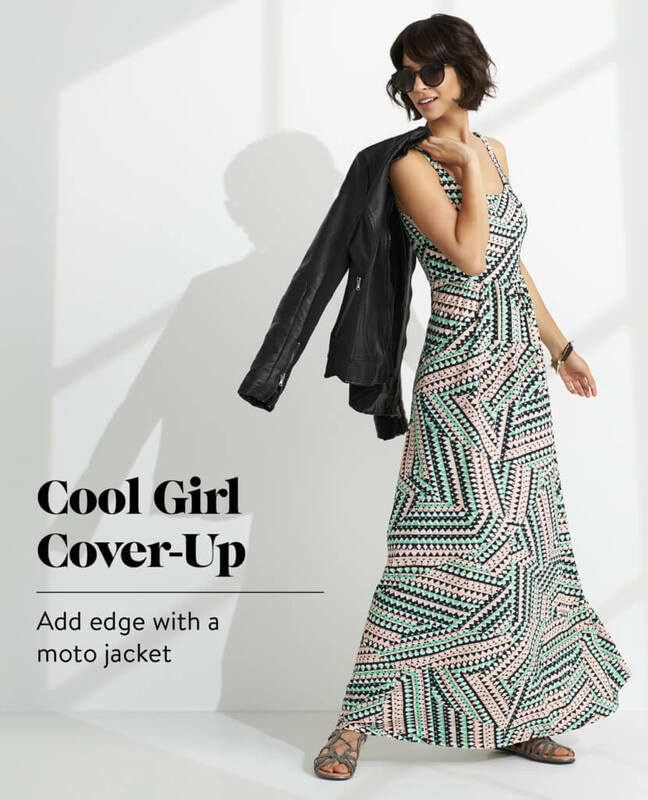 Not a moto-jacket kind of girl? Keep your look more casual and top off your dress with a classic jean jacket instead. Stylist tip: If you’re petite, look for a maxi dress that has an elastic or skirt with a tie-waist waistband. 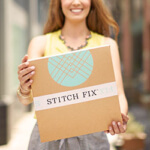 This will allow you to fold-over or cinch your dress to match the length of your legs. If you’re lucky enough to have a relaxed dress code at work, don a maxi skirt with a timeless top—like a button-up or structured blouse. Opt for neutrals (black & white FTW) as brights may come off more casual. Stylist Tip: Keep a clutch in your work bag so you can seamlessly transition into happy hour. Which look is your favorite? Pin your favorites for your Stylist!